TCT Show + Personalize 2014 is proud to once again be hosting the largest number of additive manufacturing machine makers in one place. 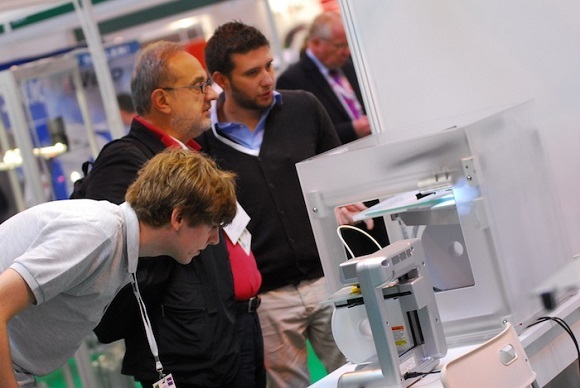 From the most compact desktop 3D printers to gargantuan and complex industrial additive manufacturing systems, the three-day event organised by Rapid News Communications Group will be home to the whole gamut of the 3D printing spectrum and associated technologies including inspection, metrology and 3D scanning equipment, with over 40 additive manufacturing machine manufacturers already due to exhibit. All the major players are coming out for the show, which this year spans Hall 3A of the NEC, Birmingham, from September 30th – October 2nd. The biggest companies in this maturing marketplace have taken the largest stands on the expanded show floor. They include additive manufacturing champion and engineering goliath Renishaw, industry innovator and trend-setter 3D Systems, 3D printing juggernaut Stratasys, metal additive manufacturing giant ExOne, paper 3D printing pioneer Mcor Technologies, laser technology vanguard EOS and leading 3D printing solutions provider EnvisionTEC. In addition, Voxeljet, SLM Solutions, Arcam, Blueprinter and relative newcomers Prodways and Markforged will be bringing their professional and industrial systems to TCT Show, boasting the latest in additive manufacturing technology for precision applications. On the desktop end of the machine manufacturer scale, MakerBot will be bringing its fashionable range of 3D printers to TCT Show, showcasing what one of the world’s best-known plug-in-and-play machine makers has to offer the growing number of consumers interested in 3D printing, while Formlabs, Ultimaker and Beijing Tiertime will be demonstrating their desktop offerings, with each company’s identity and ideology giving their hardware something unique to chime with the right investor’s own vision. The giants of 3D printing machinery will be taking to the stage as well at TCT Show, with Hans Langer, CEO of EOS presenting the opening keynote on September 30th, while MakerBot’s CEO Bre Pettis and President Jenny Lawton will step behind the mic on Day Two for ‘Brooklyn Rising – The Story, Philosophy and Future of MakerBot’. Moreover, 3D printing hardware newcomer Autodesk will be represented by Dr Jordon Brandt, with 3D Systems’ medical additive manufacturing hardware featuring in Vice-President of Surgery and Medical Devices Andy Christensen’s Day Three keynote. 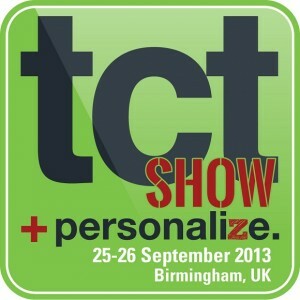 TCT Show + Personalize 2014 takes place at the NEC, Birmingham, UK on September 30th-October 2nd 2014.